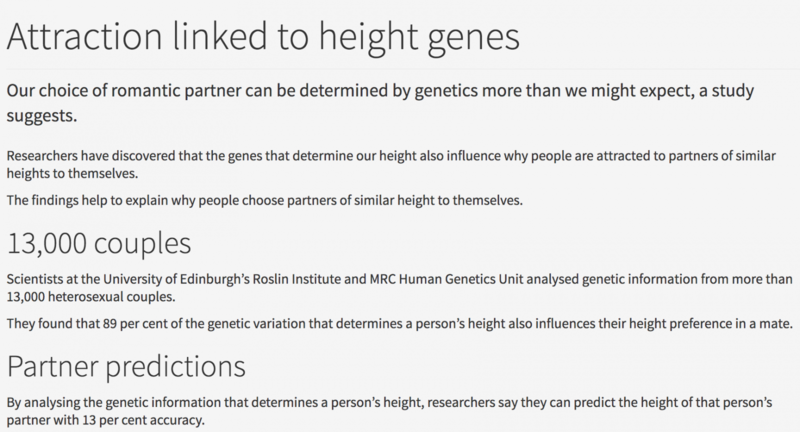 This study was done by the University Of Edinburgh and says they can determine with accuracy the height of their long term partners. It also says this desire is genetic. Interesting that according to this research, both women and men prefer partners of similar height. This goes the anecdotal evidence presented by short men and women in forums and social discussion.